Closeup Shot Of Lips With Creative Visage. 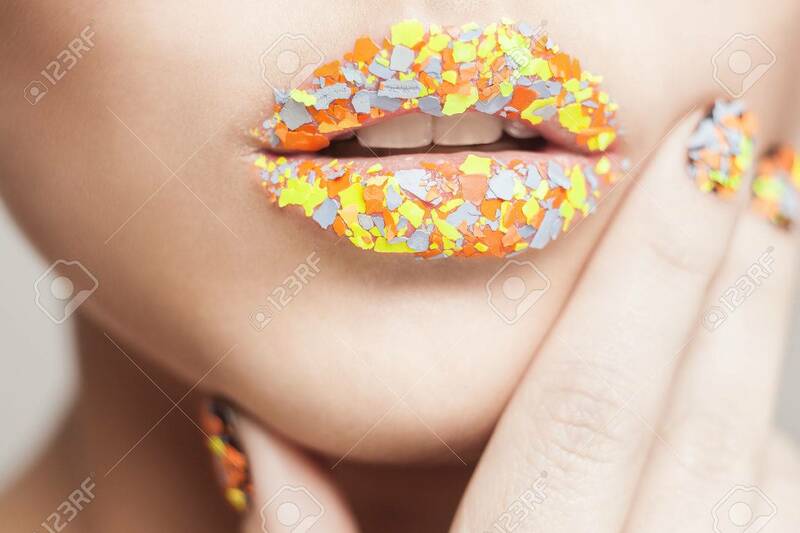 Orange, Yellow And Grey Glitters. FaceArt Royalty Free Fotografie A Reklamní Fotografie. Image 26417309.